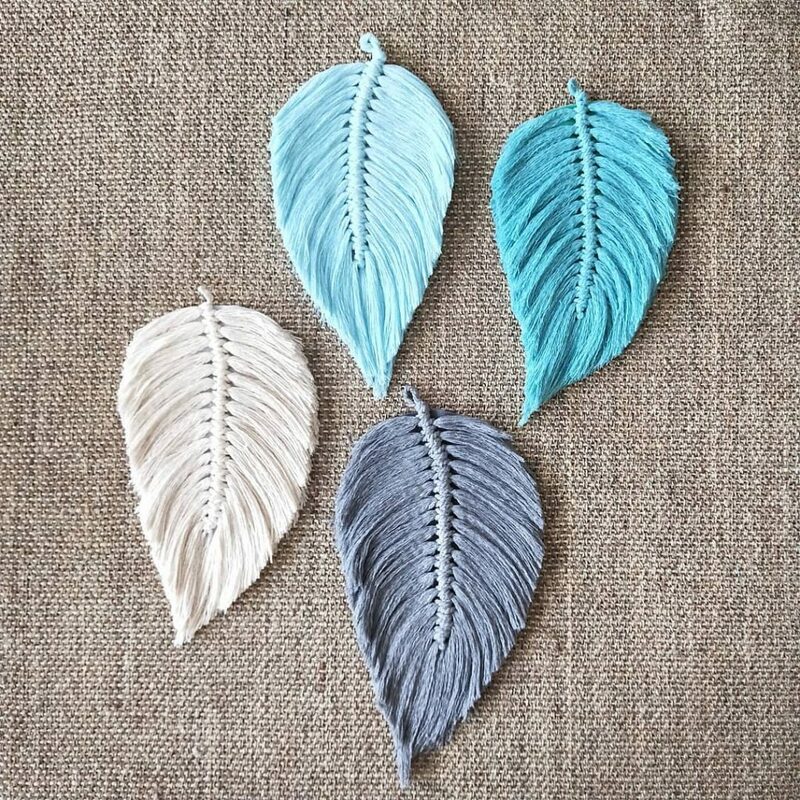 Oh the beautiful texture of these macrame feathers! 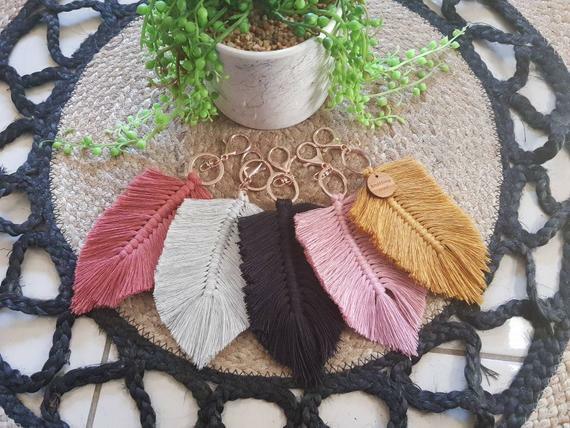 Whoever thought up using macrame to create feathers probably had no idea they would become a global trend and have many people obsessing over them. 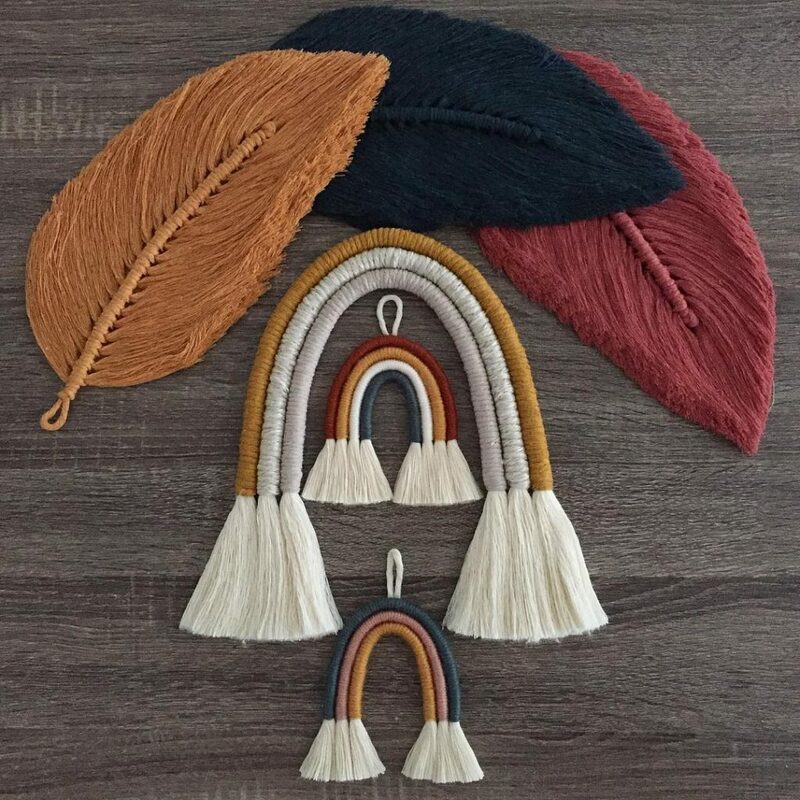 Macrame Feather Materials Needed: (I’ve listed a few different colors of cord below to make your projects more interesting). The soothing colour of these leaves are just amazing. 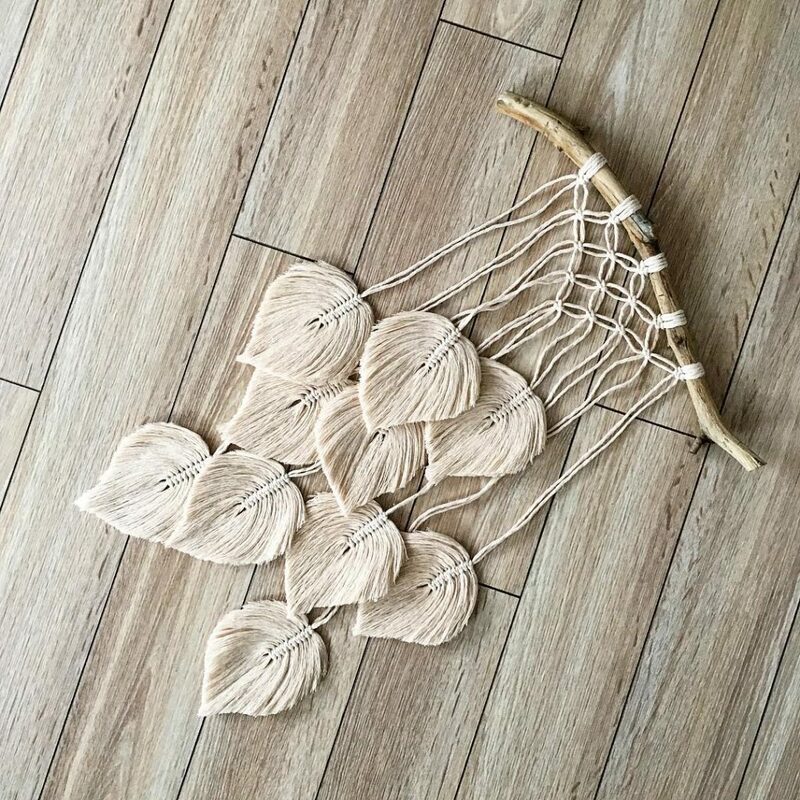 Perfect for a room that needs a soft nature loving touch. 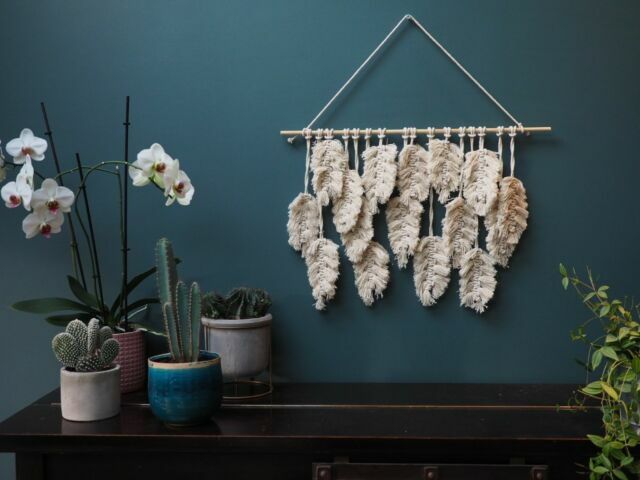 Bring on the colous with this cleverly designed wall hanging that’s WAY more exciting than adding wallpaper for a burst of colour to a room. 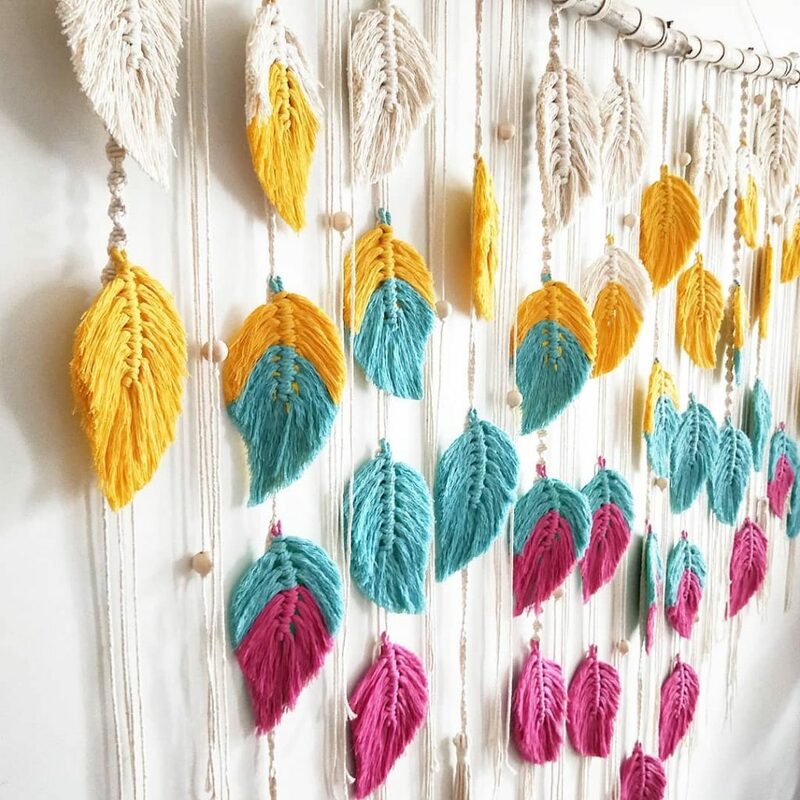 These macrame feathers are a creative person’s eye candy. Simply and elegant these leaves are nicely cut to resemble Aspen leaves. 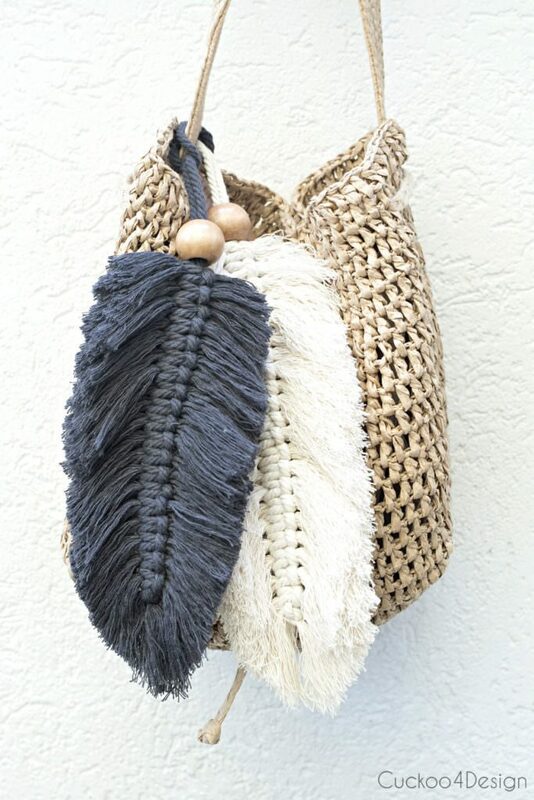 The added touch of the weave at the top makes it just dreamy to hang anywhere in the house. We don’t stop there. Have a rainbow with your macrame feathers. The combination is magical! 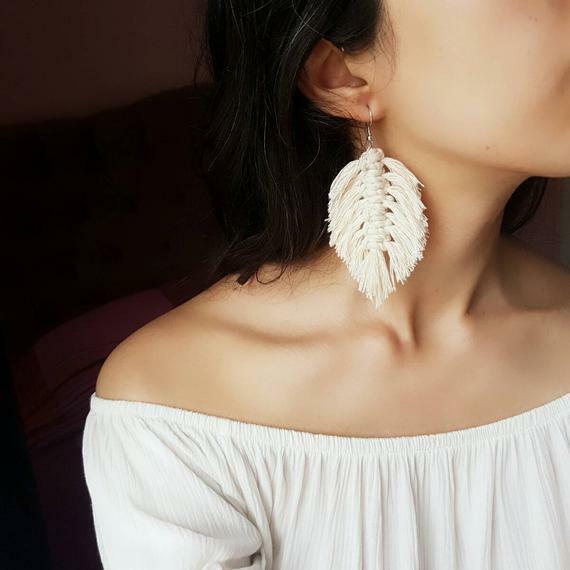 Modern nature loving earrings anyone? 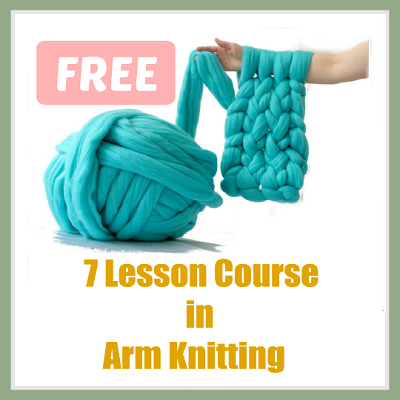 The grey and white colours are soothing and modern. 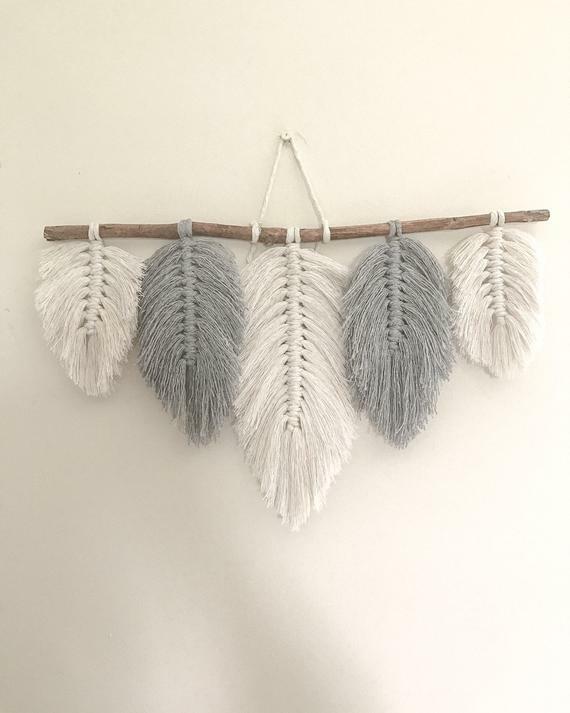 This gorgeous wall hanging would be perfect in a nursery, children’s bedroom or just about anywhere for that matter. Simple and lovely there are all sorts of uses for these feathers, but maybe you can think of something really interesting no one has thought of before. 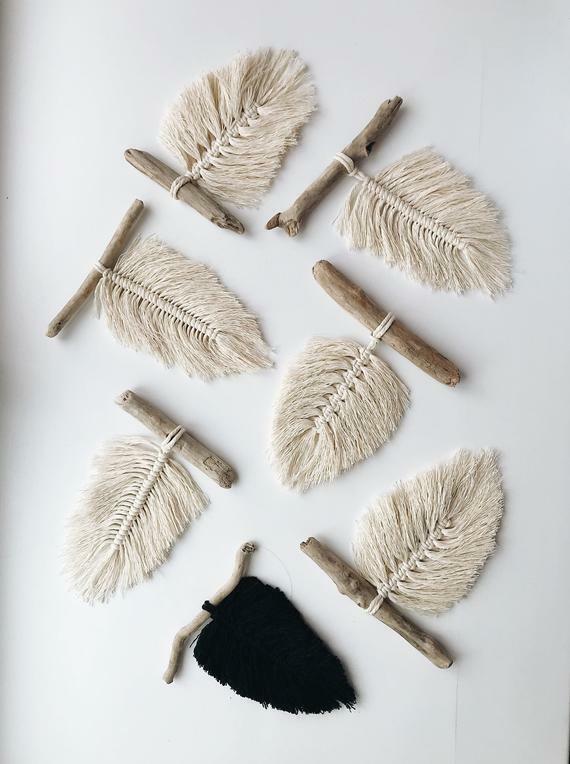 Key chains, wall hangings, purse decor, wallpaper alternatives, there are so many uses for these lovely little feathers, and new things coming out every day from the crafty people that make them. When simplicity is needed just one feather will do, or do we need just two? A white and a black feather would be a perfect match. 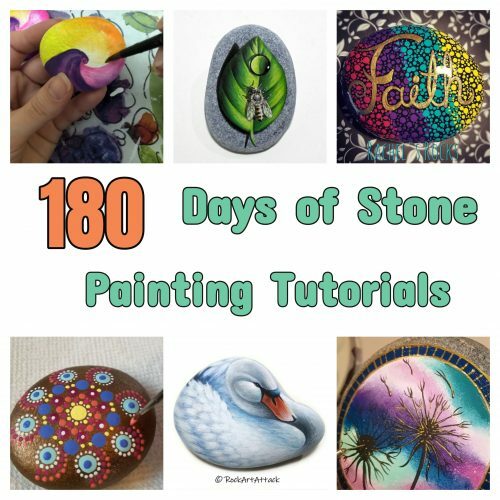 We’d love to know what sort of feather ideas you have!